According to advance excerpts of the speech, President Donald Trump will declare that a US-led coalition has "liberated almost 100 percent of the territory once held by these killers in Iraq and Syria." 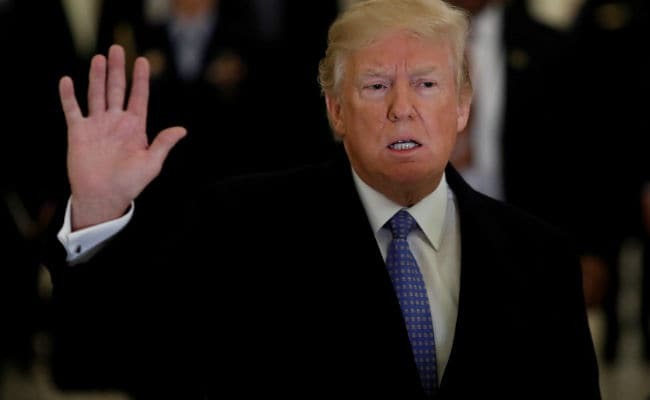 Washington: US President Donald Trump will warn that much more work remains in the war against ISIS when he delivers his State of the Union address on Tuesday. According to advance excerpts of the speech, Trump will declare that a US-led coalition has "liberated almost 100 per cent of the territory once held by these killers in Iraq and Syria." "But there is much more work to be done," he will add, a key argument that his administration has deployed to justify the continued presence of US troops in the field. "We will continue our fight until ISIS is defeated," he will vow, drawing comparison with what he sees as his predecessor Barack Obama's mistake in withdrawing from Iraq in 2011. US troops had been in Iraq since 2003, when then-president George W Bush sent them to overthrow dictator Saddam Hussein and they became mired in a deadly insurgency. Eight years later, and with American voters tiring of the grinding conflict, Obama withdrew the remaining forces, believing that US-trained local troops were ready to handle security. But remnants of the local Al-Qaeda faction were reborn as ISIS amid Syria's civil war, seizing territory in that country and overrunning a swathe of Iraq in 2014. US troops returned to the region to assist Iraqi and Kurdish forces which, backed by a global coalition, ousted the terrorists from a series of cities including Iraq's Mosul and Syria's Raqa, ISIS's main strongholds in the two countries. Some in Washington argued that the troops should now come home and that the 2001 vote in Congress to authorize strikes on Al-Qaeda in the wake of the September 11 attacks no longer applies. But Trump's administration believes that the 2,000 US special forces and additional support troops in Syria could help counter Bashar al-Assad's regime and his Iranian backers. And they warn that if the US contingent is withdrawn too quickly, ISIS group or a new successor could spring up from the ruins of Raqa or Mosul to replace it. "Past experience has taught us that complacency and concessions only invite aggression and provocation," Trump will tell Congress and American voters. "I will not repeat the mistakes of the past Administrations that got us into this dangerous position," he will say, according to the extracts.